The visual arts, poetry, literature, and music have all played an essential role in the history of salon culture. Often before a novel was published or a painting displayed, these works would be taken to the salon for assessment. Composers, such as Chopin and Liszt, wrote music specifically for the salon. Many of the most important artistic works were brought into existence thanks to the pioneering salonnières of the past who promoted a culture of creativity and collaboration. In keeping with the history of salons, The Public Sphere runs a Salon Artists & Musicians in Residence Programme in which we invite artists and musicians to present their work in the salon and on our forum The Beautiful Soul. Visual artists display their paintings and sculptures in the space of the salon, poets and writers read their work, and musicians play chamber music to begin and conclude the conversation. Their contributions provide a shared experience and lexicon that facilitates communication and inclusionary social interactions, advancing the egalitarian principle at the heart of our salons. They create a beautiful atmosphere that adds to the joy and poetry of the experience. The Public Sphere provides supportive communities for our artists and musicians to share their work and receive constructive feedback. We actively promote their artistic creations across our global network of salons and support their creative endeavors. The art and recordings of our residents is available in our Cabinet of Wonders. Louis is a Swiss-Chinese concert pianist who has been described by the New York Times as an "insightful musician" and Res Musica as “already one of the great masters of the piano." He won the Geneva International Music Competition, the Young Concert Artists International Auditions in New York, and second prize at the Leeds International Piano Competition. In 2013 he became a BBC New Generation Artist. Louis studied under Brigitte Meyer in Lausanne, Pascal Devoyon in Berlin, Emanuel Ax and Robert McDonald at the Juilliard School, and Pascal Nemirovski at London’s Royal Academy of Music. He performs with orchestras around the world such as the London Philharmonic, BBC Symphony, City of Birmingham Symphony, Wiener Symphoniker, Orchestre National de Lyon, Orchestre de la Suisse Romande, Zurich Tonhalle, Nagoya and Shanghai Philharmonic orchestras, Utah Symphony and the Orchestra of St. Luke’s (NYC) amongst others. Louis regularly plays music in The Public Sphere Headquarters salon in London and at our international salon festivals. Adam began his opera studies at the Copenhagen Royal Opera with guest professor Douglas Yates. He then moved to Houston, Texas, where he studied under Professor Timothy Jones, conductors Peter Jacoby and Lucy Arner, and director Buck Ross, at the Moores School of Music. He later enrolled for a brief period at the Yale University School of Music, working with bass Richard Cross. Adam is a graduate of the Curtis Institute of Music, under the direction of Mikael Eliasen, as a student of Marlena Malas. Frandsen has taken part in the Aspen Music Festival, The International Vocal Arts Institute Israel and Virginia, and the IIVA Puerto Rico. He has worked with and received master classes from Neil Shicoff, Francisco Araiza, Joan Dornemann, Sherrill Milnes, Mignon Dunn, Håkan Hagegård, Vinson Cole, Seiji Ozawa, Lorin Maazel, Pierre Vallet and Patrick Summers. Frandsen was a regional finalist in the 2008 Metropolitan Opera National Council Auditions and is the recipient of the honorary Aalborg Opera Prize 2015. Adam performs in operas around the world. Ilyas is a poet and philosopher. His work centres around the notion of infinity, and the mystical experience at large. Always striving towards an ideal of emptiness, he believes the role of the poem is to set the word free from itself, allowing language to transcend its linguistic limits. Most famous for his book Reminiscence of the Present, Ilyas’s work appears alongside the likes of Isabel Allende and Deepak Chopra. He is known to give talks on the role of the poetic, including his Tedx talk on “Why we ask Why”. He is the founder of various thought projects that promotes visceral thinking, including The Thinkers Balcony - a pop-up restaurant that cultivates philosophical experiences through the medium of food. A native New Yorker, Zoë has composed for ensembles on four continents, including an orchestral work for the National Symphony Orchestra of Ghana, a multimedia piece showcasing sounds and photographs of New York’s Central Park, and a score for a film based in Abu Dhabi. She studied composition under Kathryn Alexander and Stephen Gorbos at Yale University, while pursuing a double major in political science and physics. Zoë also served as president of the Yale Music Scene, has published reviews of living composers for several newspapers and has coached young musicans later named to The Guardian’s Top 20 Musicians Under 20. Zoë aspires to set and defy musical expectations in innovating, yet pleasing ways — often conjuring a change in time signature or an unexpected tonal modulation — and to break down barriers between media of art and cultural musical traditions. In addition to composing, Zoë works as a security researcher for the Stockholm International Peace Research Institute (SIPRI). She hopes her fieldwork in conflict zones will provide a doorway to musical collaboration across cultures. Vishal is an analyst, academic and artist born and raised in London. Vishal uses data in a creative and impactful way and specialises in data visualisation, information design & data/generative art. Vishal's academic interests intersect between economics, art and design, physics, computer science and psychology. His interest in visual arts stems from his interest in architecture, which he pursued during an A level in fine art. Now, though, instead of using a pencil, ruler and a compass to draw architectural sketches, he uses code and data to create algorithms that generate works of art. Vishal has spoken about his work on a number of panels, most recently at UNFOLD festival in October 2017 during Frieze week. 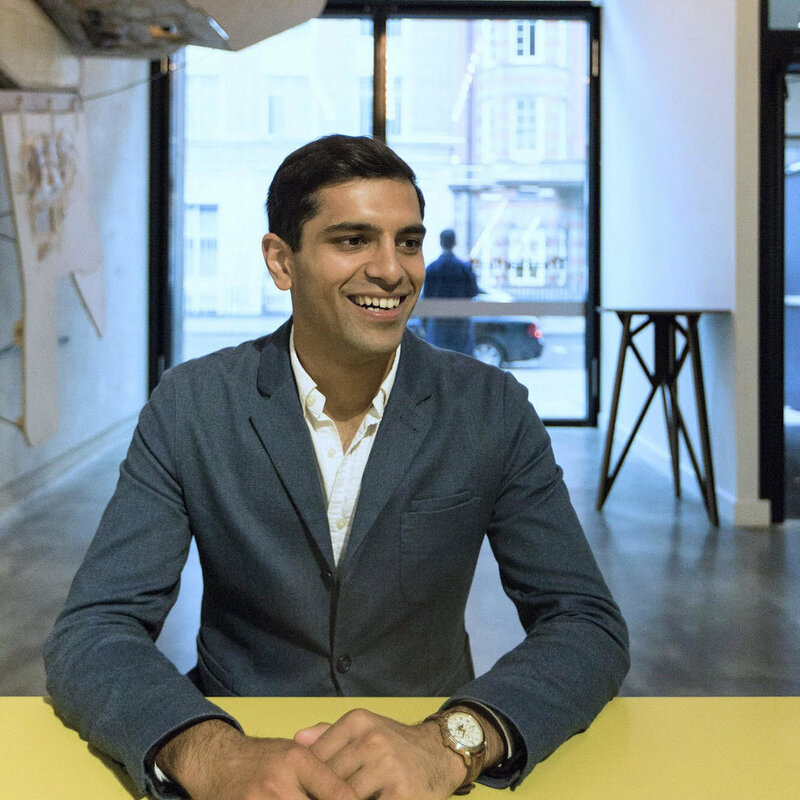 Vishal works as a Data Analyst at Sotheby’s auction house in London whilst studying a part-time postgraduate research degree in Data Science and Visualisation at the Centre for Advanced Spatial Analysis (CASA) at The Bartlett, UCL. He is interested in the economic and social impact of cultural buildings within major world cities. Before this, Vishal studied a bachelors degree at the London School of Economics and a masters degree the Sotheby’s Institute of Art. A couple of dynamic versions of his works of art can be viewed here and here and static versions here and here.